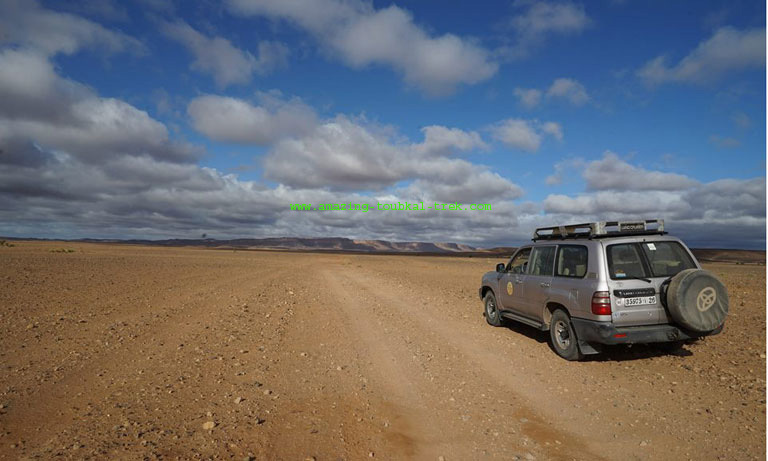 Erg Chigaga desert tour: This 3-day Sahara trip from Marrakech is recommended for all travelers looking for a real adventure during their visit to Morocco. 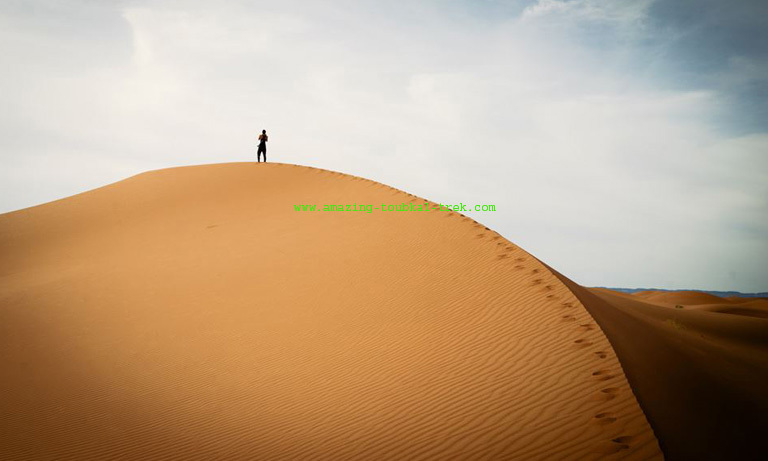 You will explore one of most hidden Sahara desert locations on this 4WD off-road Erg Chigaga tour. Erg Chigaga is known for its unspoiled dunes and rarely frequented off the beaten tracks. – Cross the High Atlas Mountains and Tizi n’Ttichka pass. – Drive along the Draa Valley with a view of its fortified Ksours and palm trees. – Visit Ait Benhaddou Kasbahs, the UNESCO Heritage Site. – Enjoy a Camel ride in Erg Chigaga and watching the sunset & sunrise. – Meet the real nomads. We will pick up you from your hotel, and drive towards the Atlas Mountains via the Tichka Pass. We will visit the famous Kasbah of Ait Benhaddou, and have lunch. After we continue towards Ouarzazate then Zagora via Draa Valley. You’ll experience different sights of Palm trees, and fortified villages with fields of various plantations along the Draa valley. Overnight in a Hotel. 380 km road drive. After breakfast, we’ll leave Zagora and head towards Tamegroute – a historic village and the 11th-century seat of Islamic learning. Here, we will visit the Zawya, the ancient Koranic Library (with thousands of collections of ancient manuscripts), pottery artisans and the underground Kasbah to see its current inhabitants. We continue to drive towards Tagouenite Oasis, and then to M’hamid Town, where we’ll stop for lunch. After drive off the road taking the desert tracks to Erg Chigaga, where you’ll ride camels and enjoy one of the most dramatic sunsets over the color changing sands. Overnight in Sahara desert camp. 150 km total. 50 km off-road drive. We will get up early in the morning to enjoy the sunrise, before having our breakfast. We then take the desert tracks to Foum Zguid. Here, you’ll have time for some rural Sahara shopping and exploration of local crafts before returning to Marrakech. Overnight in a hotel. 440 km total (90 km off-road). 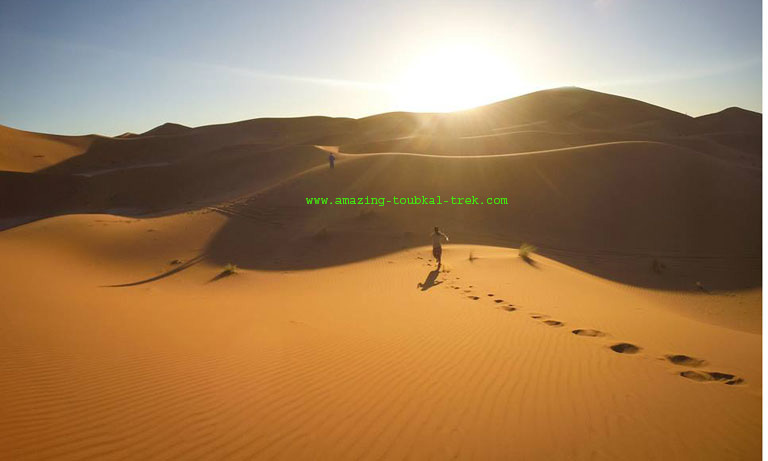 – The Erg Chigaga desert tour can be tailored into a 4 or 5 days desert tour if desired. – This trip is available and can be arranged for groups of all sizes. Erg Chigaga desert tour: A private trip to one of two major Saharan ergs of the Sahara in Morocco.